According to Public Health Command Europe officials, a person with Lyme disease may develop fever, headache, fatigue and a skin rash. This rash is sometimes referred to as a “bulls-eye” rash because it is red and circular in appearance. 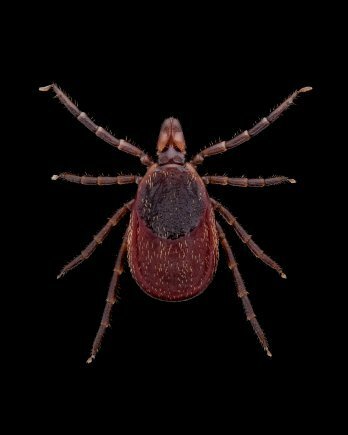 “Ticks can be active on winter days when the ground temperatures are above 45 degrees Fahrenheit but they are most prevalent during warmer days,” said Maj. Amanda Cline, Chief of Entomology at PHCE. “Having a pet dog or cat more than doubles the odds that humans will find a tick on themselves,” said Maj. Stephanie Kennedy, PHCE Regional Veterinary Clinical Medicine Officer and Consultant. “Along with tick prevention, pet owners are encouraged to check their pets for ticks daily, especially after they spend time outdoors,” Kennedy said. If you do find a tick on any member of your family, once removed, take the tick to your local medical treatment facility or for your furry friends, to the veterinary treatment facility. Be sure to have information on where you may have been bit and the date it was removed, so PHCE can capture the information. Please do not send or bring ticks directly to PHCE. Wear long-sleeved shirts and pants when in wooded areas. 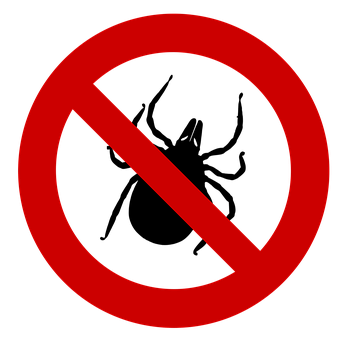 Wear closed shoes — no bare feet or sandals. After being outdoors, check for ticks. Shower and change your clothes. Under the collar: Make sure to remove your dog’s collar from time to time and inspect for ticks. “Private” areas: Make sure to check in the groin area between the back legs and underneath the tail. These are popular spots for ticks to hide. Inside of Ears: All the little crevices inside of an ear make it a popular spot for ticks to hang out. Between Toes: Spots like between the toes are cozy and not something that’s easy to see – making it a perfect place for a tick to setup camp. Near the Eyelids: It can be tricky to tell, which is why around the eyes is one place ticks go unnoticed. If you’re not sure, it’s best to consult with the Veterinary Treatment Facility, Panzer Kaserne. For more information on tick-borne illnesses and how to protect yourself and your family, please talk with your primary care manager or your pet’s veterinarian.